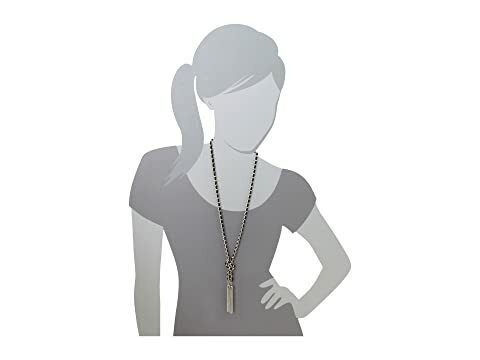 From the office to the after party, this bold GUESS® necklace will get you noticed! 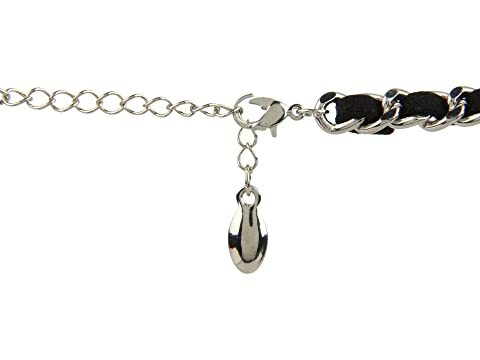 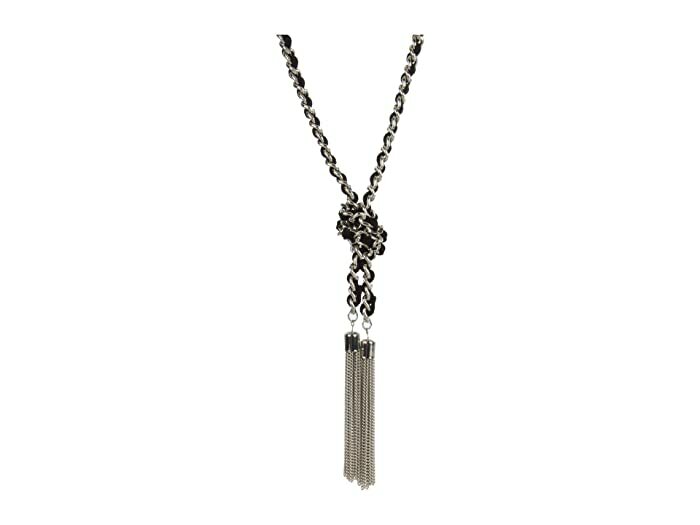 Black suede is woven throughout the silver-tone chain. 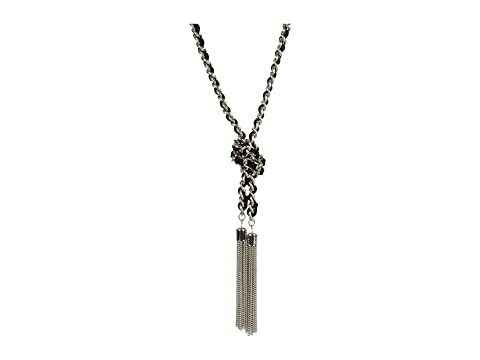 Knotted detail at the front with chain tasseling.